You Can Maximize Your Profit Potential Too! Learn the Hidden Structure in Trading Markets Now. Most of the trading markets nowadays are open auction markets. Auction markets are designed to favour players with intimidating position size capacities. Read STOPD to learn the truth and start to observe market behaviour in a totally different way. Classic technical analysis suffers from fragmented trading setups and incoherent interpretations, making it difficult to apply in real-life situation. STOPD provides you with a framework to read the markets fluently as if you are holding onto a GPS at a crossroad. Price pattern recognition and trading setups give you trading entries but failed miserably in providing the all important target zones to exit your trades. STOPD gives you the structural target when price reacts at structural price level – taking out the guesswork and improve your profitability quickly as it can be integrated with your existing trading strategies easily. Get Your Downloadable Copy Now! Lawrence Chan, founder of DaytradingBias.com, is a well-known researcher on financial markets for over 20 years. By using advance computer modeling techniques to conduct complex market simulations with virtual participants, Mr. Chan and his team has successfully isolated the cause of recurring market behaviours beyond the most sophisticated data mining can do from analyzing historical data alone. Dependable recurring patterns are identified and cross verified against billions of actual historical trade records to confirm their usefulness and accuracies. The results are summarized into this book. 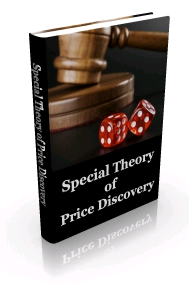 As a new visitor of our ebook store, we are going to give you this one time super discount if you act fast. You pay $55 $27 only.